If you die without a will, the laws of the state in which you lived will determine what happens to the assets inside your estate. Typically, the distribution will be passed along to your spouse and any children, although this can vary based on your location. 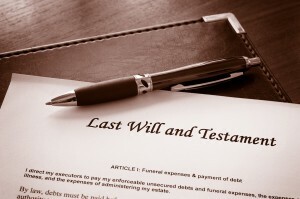 One of the downsides of not having a will is that you give up control over what can happen to your estate assets. The state’s plan for the management of your estate is simply their best guess about what most people would elect to do with their estates. There are some built-in protections for special beneficiaries, like children. Unfortunately, there is no guarantee that what they choose to do will actually reflect your wishes. Outside of a family setting where everyone is in agreement, this kind of planning done by the court can be frustrating and confusing for heirs.